Got a song stuck in your head but can't figure out who it's by? Premium Search for Music lets you figure it out! 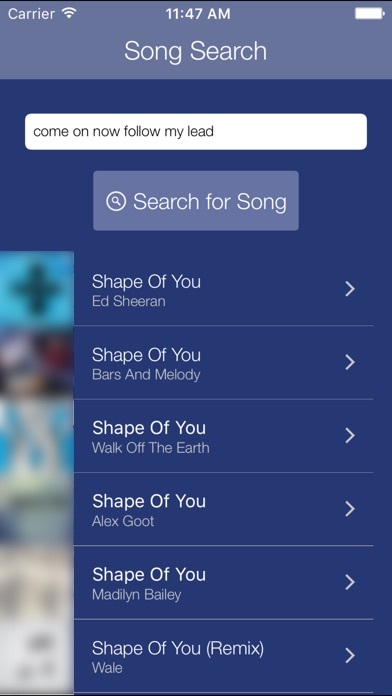 Just enter part of the song lyrics and tap Search and the app will provide a list of matching songs. 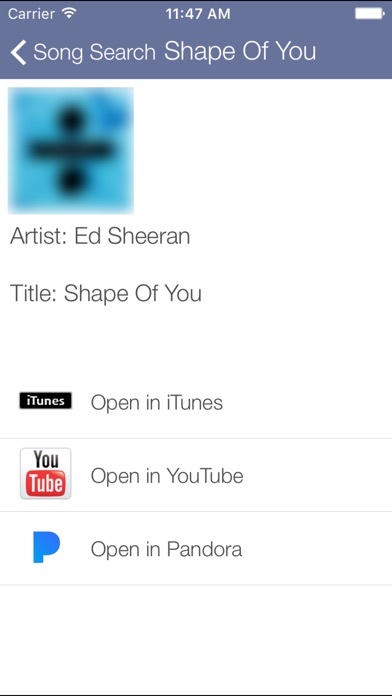 Once you select a song, you can play a preview of the song, then instantly open it in Pandora, YouTube or the iTunes Store! Great for noisy environments where you are unable to use Shazaam or SoundHound. Also great if you have some lyrics stuck in your head and can't figure out what the song is! *Note: This app is not affiliated with Pandora. You will need to have the Pandora app installed on your device in order to open songs in Pandora; however, all other features of the app will function without Pandora installed.